About three years ago I came across the brand C.G. Winner for the first time. It was a German eBay seller that had one of these neck through double cut away guitar for sale and even though I wasn’t crazy about the design, I loved the name. My name is Claes Gellerbrink so any brand that has my initials and then the word winner after in their logo must be for me. Years later I stumbled upon one of these and in a weak moment bought it. I didn’t really know what to expect but I actually really like it. The neck is perhaps too long for me, just like an SG, I get confused when 12th fret is almost in the middle of the neck. Having said that, this is the fattest neck I’ve ever held in my hand, that I haven’t made myself, it’s a proper baseball bat. It’s a pretty well balanced guitar and doesn’t feel too neck heavy, like some do. I haven’t had time to play it properly through my Fender amp or played with any effects but I have a feeling this might be a monster with a bit of distortion. After some research a few Germans mentioned that these came with Di Marzio humbuckers, not sure if it’s true, mine are not stamped so it might be plain old Maxon’s. Either way, I’m pretty sure that C.G. 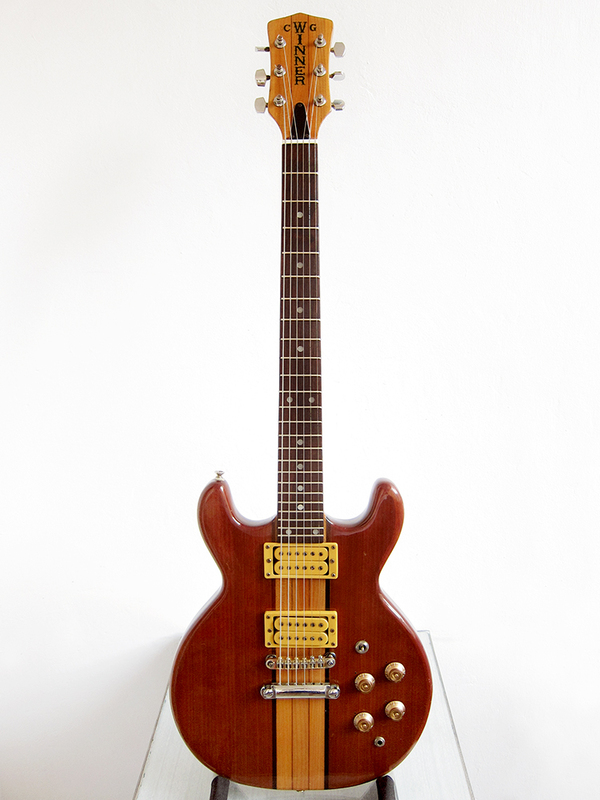 Winner were made by Matsumoku in the early 1980’s alongside Aria Pro II, Vantage and Ibanez, which makes perfect sense since all three brands made neck through models very similar to this C.G. Winner. Here is the full story that I found reposted in quite a few Ibanez collector and Matsumoku based forums.